Forward Thinking Architecture, a company based in Barcelona has come up with an approach of how to feed the 9-billion persons living in the world; drop the idea that food can only be grown on land. As per UN, the world population shall be hitting 9.1 billion in 2050 and will require 70% more food than current produce. The problem arises when you realize that there isn’t enough room for farms to cater to this inevitable need of food and owing to the climate change, even having the farms won’t make much of a difference. 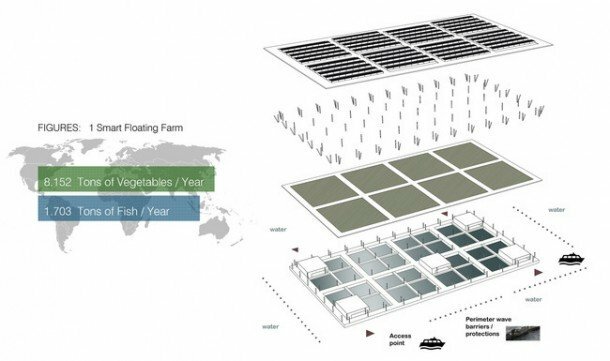 The solution comes in the form of having floating farms that shall be positioned off the coast of progressive cities. 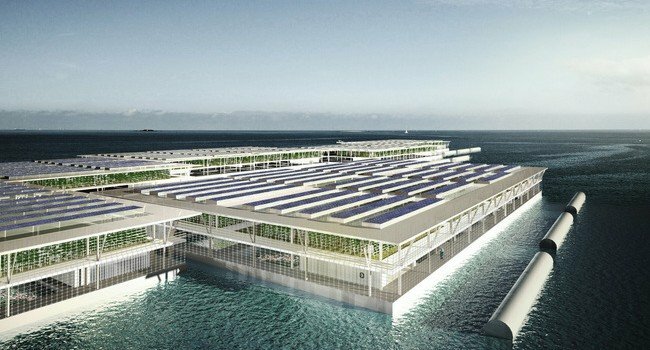 By combining vertical farming technologies and hydroponic technologies, the new method of growing food will make use of large barges that have been stacked high using planter beds. 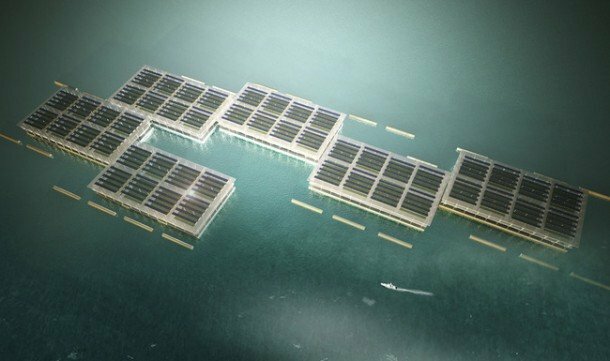 The first level will feature a fish farm that has been equipped with a desalination plant, wave barriers and water access points. The second level shall feature an automated pesticide-free hydroponic greenhouse that will allow user to grow vegetables and leafy greens. 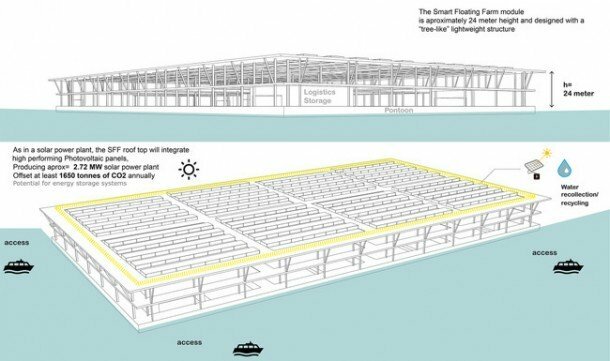 The whole structure shall be powered using a rooftop that has been covered in solar panels.